Applaws wet food is made from as little as 3 ingredients. We use only the finest cuts of breast meat or fish fillets that you will know and recognise from your own food. What is the difference between a “Complete” food and a “Complementary” food? A complete diet such as Applaws complete dry pet food contains all the vitamins and minerals your pet needs for a healthy diet. A complementary pet food is designed to be fed in addition to a complete pet food. 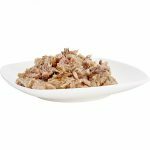 Our complementary recipes contain real meat or fish which provides your pet with natural levels of taurine to help keep your pet healthy when fed alongside a complete food. For cats we recommend giving a complementary wet meal in the morning and in the evening. In addition, give your cat a bowl of Applaws complete cat food during the day and in the evening. When feeding a complementary diet and a complete food as part of daily feeding regime you have a healthy balanced diet. We recommend a ratio of 60% wet complementary food to 40% dry complete food for balanced nutrition. The wet food gives your cat the meat taste they love and gives them essential hydration with natural levels of taurine and the complete kibble helps to keep your cats teeth in good condition and has all the added vitamins and minerals to keep your cat healthy. 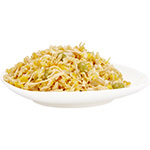 For dogs you can feed a complementary wet meal by itself or as a topper or mixed in with their kibble. 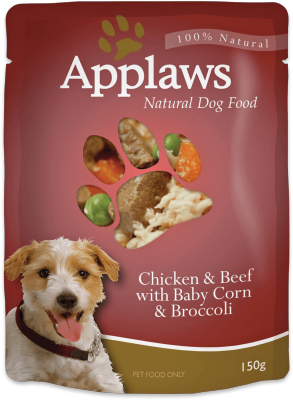 Dogs love the taste and variety that an Applaws complementary real meat diet brings to a complete kibble diet. Complementary diets should not be the sole food so always ensure you have a good complete food such as Applaws Complete Food to balance your pets’ diet. Applaws is accredited by the Ethical Company Organisation, we take the sourcing and handling of our ingredients very seriously. 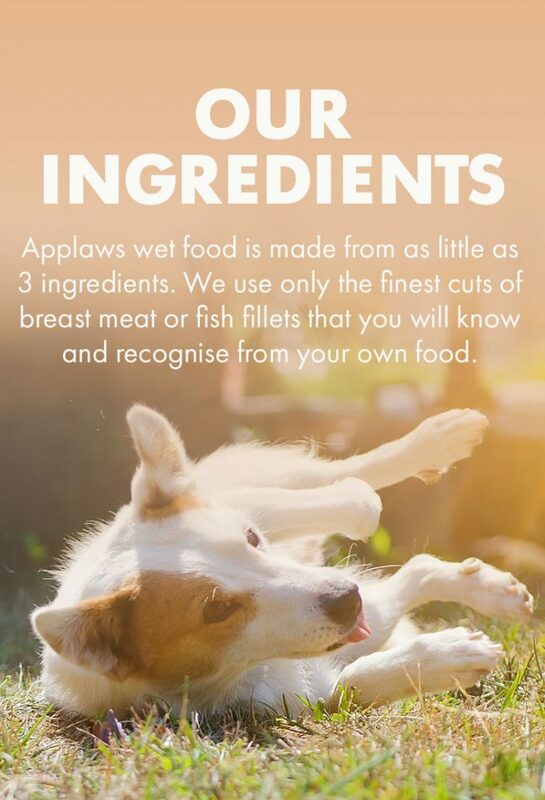 We follow strict codes of practice to ensure that Applaws is made to the highest standards of food production. requirements of organisations including the British Retail Consortium. organisation that makes everything from household cleaners to chocolate bars; we are an independent specialist that makes what we believe is the best natural cat and dog food in the world. All of the fish in our recipes is sea caught using dolphin friendly methods and we only use species from sustainable resources. The tuna that we fish is further accredited by the Earth Island Institute. Real ingredients to support real benefits. Each ingredient is selected by Applaws can provide a real health benefit for your cat or dog (please see nutrition for more information). Even the more unusual inclusions like seaweed, pumpkin, coconut oil or goji berry provide natural sources of vitamins, fats or minerals to support your pet’s wellbeing. The prime cuts of human grade tuna, mackerel, sardine or salmon fillet, beef steak or chicken breast meat are human grade. They are the same quality as those found in cans or prepared meals for families around the world. Protein is an essential nutrient which helps the building of body tissues (including muscle), forms the basis for enzymes (substances needed for body function) and is involved in the prevention of disease. The source and quality of the protein in your pet’s diet is therefore really important. 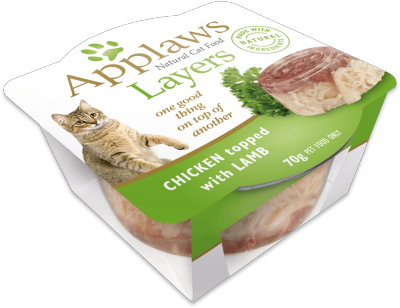 Dietary protein can be supplied from either plant or animal sources, but at Applaws, we believe that a diet high in animal protein is the best way to nurture your cat or dog. This is because if mirrors the diet they would eat naturally.